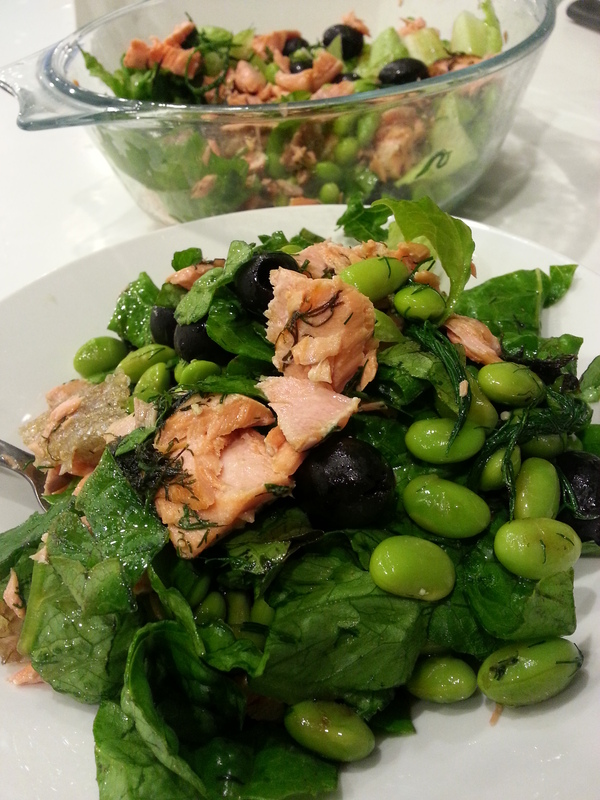 To make 2 portions, I used two trout fillets (pan-fried in coconut oil to give a nice crispy skin), lots of dill, iceberg lettuce, black olives and about 250g (shelled) edamame beans. This would also work very well with smoked trout (or even salmon). 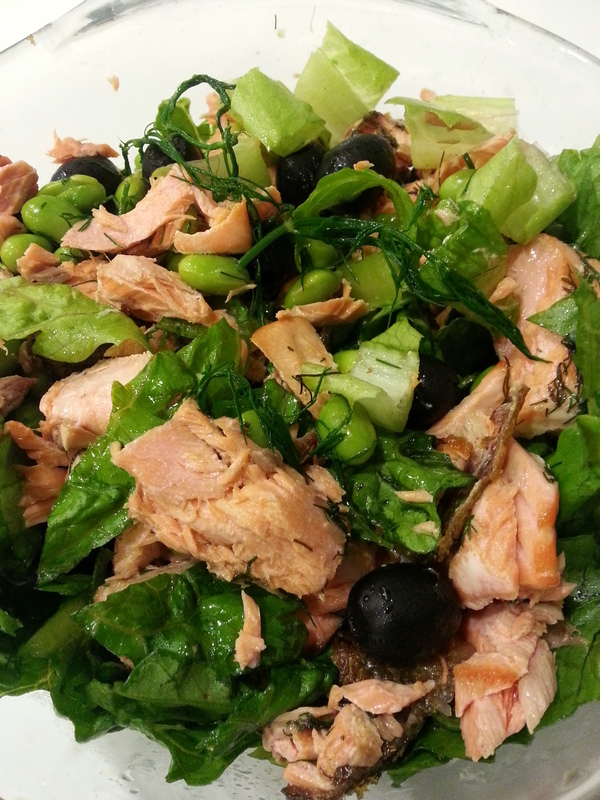 Posted in dinner, fish, lunch, saladTagged dill, edamame, lettuce, olive, troutBookmark the permalink.